There’s often a backlash to nostalgia in games at the best of times, and not all of it is entirely deserved. Granted, it can be pretty irritating when people fail to give something a chance because it’s not exactly the same as its predecessors, but we tend to forget that the reason we look back so fondly is because of all the amazing memories we’ve been given. Some will do anything to reawaken those halcyon days, before we begin to realise that things aren’t right. As a Nintendo fan, I’m basically forced into looking at nearly everything with rose-tinted spectacles whether I want to or not, and while it makes for some very, very frustrating conversations, it’s left me with far many more good memories than bad. However, were I to tell you that the game I’ve felt the most nostalgic for of late is a game that released last year, then you’d probably (and rightly) brand me a stupid nutter and leave the room before also (rightly) calling me ugly, too. You’ll be on the phone to get me sectioned when I tell you that it wasn’t even very good, either. Tonight Matthew, I’m rekindling fond memories of Tomodachi Life. As one of the more esoteric titles Nintendo have ever made, many were expecting that it’d never see a release outside of its hallowed home of Japan. You’d be right to expect so, especially considering the amount of stuff companies don’t allow to leave the island for fear that we’ll realise that Godzilla isn’t the only monster they’re harbouring. Essentially translatable as “Friend Life”, the game itself is best described as “if Nintendo made The Sims“. 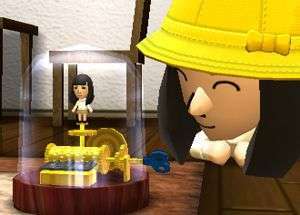 You create a Mii, fill out a personality test, then let them move into an apartment on your very own island. Before long, you’re encouraged to add more citizens in the least cult-like way imaginable – by creating them from your friends, family and any celebrities you’ve always wanted to marry but can’t until they rescind that restraining order. Once you’ve reached your limit, whether it be the amount of people you can be bothered to deal with at once or when you’ve occupied every apartment, you… simply let them get on with it. If this were a really weird offshoot of the Sims, you’d wonder where most of the interactivity went. For the most part, you could roll your eyes and ironically call it “Tamagotchi Life” to the whoops, cheers and retro re-appropriation of high-fives from your ironic pals for all the times you’ll actively participate in the events of your islanders. In fact, you could easily argue that Tamagotchis will at least die if you forget to feed them. Yet, feed them you would, occasionally, as you would essentially play advice-giver to a bunch of virtual adults who see you as both the person in charge of the island and as a glorified personal food delivery service. For the most part, what little gameplay there was would see you check into the apartment block every so often to see who needed help or who was feeling hungry. Black silhouettes meant they had a problem, green meant people wanted to play a mini-game with you, and orange would see you playing match-maker. 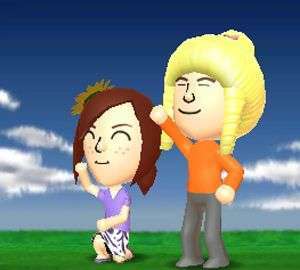 The Miis wouldn’t make friends on their own, but would require you to facilitate meetings, so you could conceivably prevent characters from socialising, in case there’s a reason you don’t want that fictional version of Jennifer Lawrence to know anyone but you. Honestly, though, there was very little reason not to have everyone make friends, because doing so would unlock more places to visit and more wacky shenanigans. See, where Tomodachi Life truly succeeded was in working as some sort of bizarre sketch generator, and half the fun was trying to uncover the next utterly weird sequence. Having more friends meant that you’d be more likely to come across some of the more abnormal sequences more often, alongside the daily schedule of crazy. You could log on to find out it’s the hour where everyone is rap-battling by the fountain, see a friend selling mouldy bread at the Market Stall and insisting it’s yummy, or discover it’s the time of day where you can play a weird RPG in which each participant fills the generic roles of Black or White Mages, Warriors and Monks as they fight against SNES Super Scopes or NES consoles. You could feed someone something so delicious that they literally launch themselves into outer space, or food so nasty that they melt into a puddle on the floor. You could turn on the twice-daily news to discover that one of your friends fell asleep in a field and woke up surrounded by sheep, or that two of the islanders have reached the semi-finals of a Stand-Up competition. A Tomodachi could receive a mysterious letter telling them to meet on the roof, only for another resident to show up in glasses and a fake moustache, impart some wisdom about being careful of cat’s claws and leave before anyone figures out their paper-thin identity. You could even unlock a music hall where you could make your Miis sing metal songs about how much they hate stairs, or perform raps about three-for-two deals on Party Rings. Better yet, you could let people set their friends up on dates, leading to a brilliant sequence where they badly disguise themselves in a trenchcoat and hat and peer over a newspaper in order to spy on their manipulated love arrangements. You can assist a friend in proposing to one of the cast members of cult-show Community, or witness a wedding between your introverted buddy and Peter Dinklage, who you’ve forced everyone to refer to as P-Dinkz. Or, you watch a relationship fall apart as they fight over a CRT television. It’s all good. For the ultimate in voyeurism, however, you could dive into people’s dreams, which is when you’d start seeing some seriously messed-up stuff. It was the only way you could see someone’s face pop out into space as you told them that ghosts come out of their bums if they fart at midnight, watch islanders dressed in wigs and telling each other things were going “fabulously, darling”, or, better yet, witness your friends march ritualistically in a circle as they chanted “All hail the Virtual Boy!”. Despite a lack of interactivity, the possibilities seemed almost endless. Then, the same thing happened that happens whenever there’s no real endgame but what you make of it – I got bored and moved onto something else. 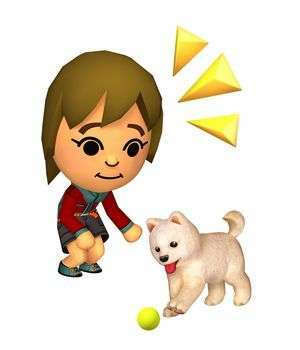 Unlike the time I played Animal Crossing every day for a whole year, Tomodachi Life only managed to hook me for a couple of months, which some would rightly argue was also far longer than it should have. Yet, every now and then I’ll get that cheerful theme tune stuck in my head and want to dive right back into that crazy, wonderful world, but not because of its gameplay. Instead, what I miss most about Tomodachi Life is what it represents: a perfect microcosm of an important part of my life. As much as people claim series like The Sims show exactly what type of person you are, Tomodachi Life shows exactly the person I was. Were I to slot that cartridge in a 3DS and take you on a tour of King Ed’s Island, you could learn everything you needed to know about me circa Summer 2014, from who I considered close friends, who my celebrity crushes were, and exactly how conceited and deluded I was that I’d crown myself the ruler of a fictional island where I was often nothing more than a convenient pizza-delivery system. You could discover what kooky outfits I thought best suited people – or at least made them look most ridiculous – and you even find out what stupid in-jokes with friends that I treasured most. Life changes for everyone, and even less than a year on, Tomodachi Life feels like a perfect time capsule of an era that once was. In reality, I’m no longer on talking terms with some of the friends who I invited to come stay on the island, Community is no longer on terrestrial TV, and P-Dinkz is now known worldwide as the only acceptable way to address the man who plays Tyrion Lannister. Yet, within the cartridge sitting on top of my desk somewhere, there’s a world where I still have the friends I’ve lost, and a two-month snapshot of the past is immortalised forever. Well, unless we’ve had a fight over that Virtual Boy again. All hail the Virtual Boy.